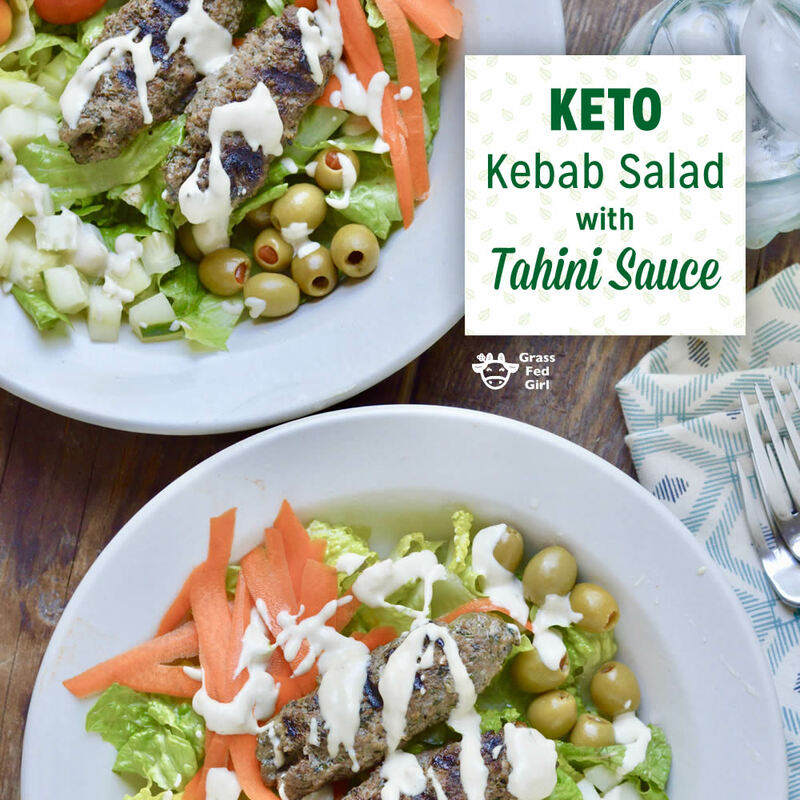 I made this Keto Kebab Salad with Tahini Sauce for my husband for a quick lunch and he loved it. He taught me how to make these little kefta as they are called where he is from in North Africa. 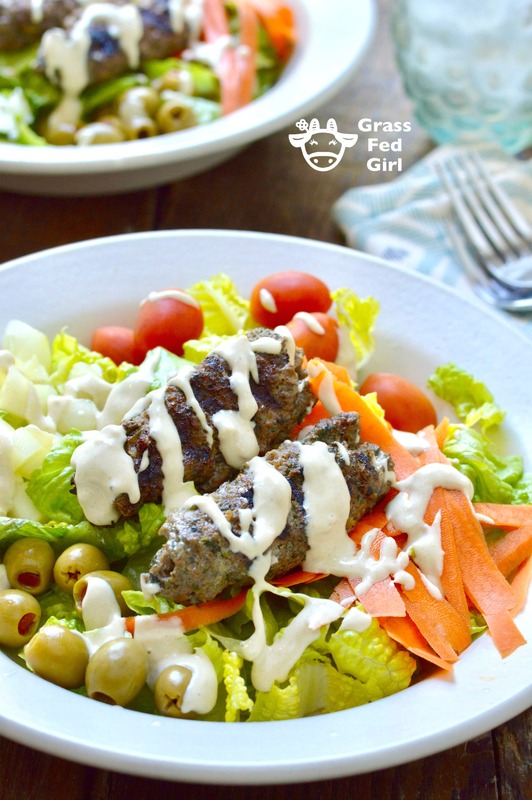 In the Middle East this dish is often called kofta and many places have their own variations. 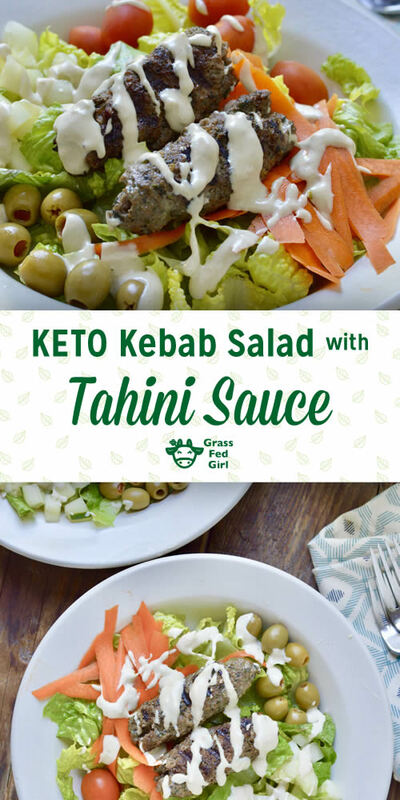 Tahini is a paste made from sesame seeds and they add a nutty flavor to any savory dish. Place the meat in a bowl. Mix the spices for the meat in another bowl. Add the spice mixture and the herbs to the bowl with the meat. Use your hands to mix up the meat and seasonings until well combined. Form the meat into 3- 4 inch thumb shaped pieces, about 2 oz. each and place on a platter. In a small bowl, mix up the tahini sauce ingredients until smooth. Heat up a grill pan with the olive oil over medium high heat. When the pan is hot, place the meat on the grill pan and cook for 2-3 minutes on each side. 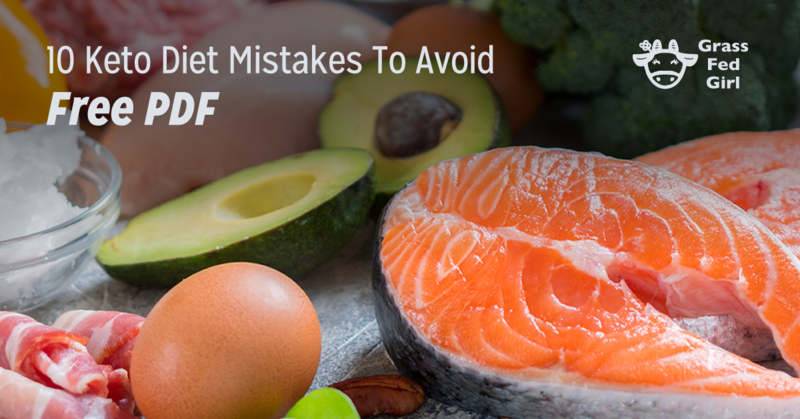 Remove the meat from heat, place on a plate and set aside. Arrange the lettuce, tomatoes, olives cucumber, carrot, if using, evenly on four plates. 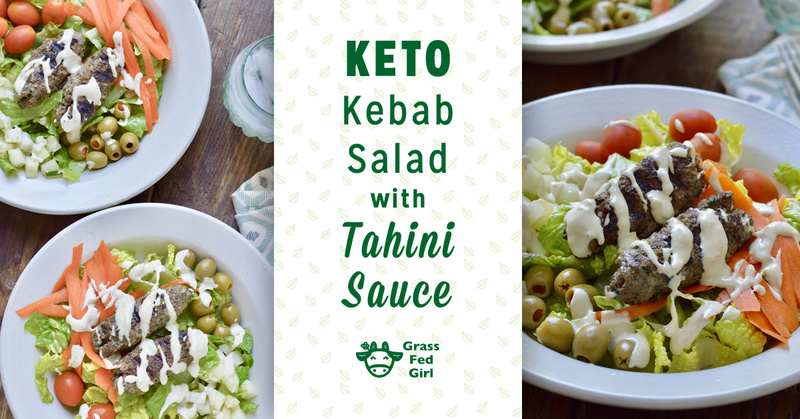 Top the salads with the kebabs, and tahini sauce. Serve and enjoy.